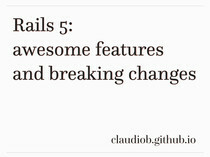 Add option :check_parameters to current_page? 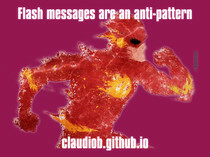 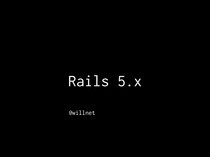 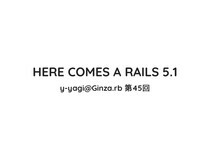 Display railtie class name in "rails initializers"
Flash messages are an anti-pattern3年以上前 by Claudio B.
Rails 5: awesome features and breaking changes3年以上前 by Claudio B. 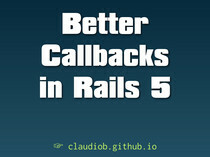 Better Callbacks in Rails 5約4年前 by Claudio B.